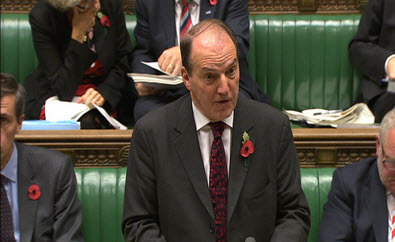 A tireless community politician, twice an unsuccessful contender for the leadership of his Party, Simon Hughes seems, like the poor of his inner-city constituency, to have always been with us. “It’s never the end of Simon Hughes” he prophesied after losing the party leadership election in 2006. And although he was not included in the coalition Government, he was back in 2010 as Deputy Leader of his Party after the resignation of Vince Cable. He started with a rebellion against the Coalition. He was one of two Liberal Democrats who voted against the Budget increase in VAT to 20 per cent. He also abstained in the vote to increase university tuition fees which his party had said it would oppose. A radical barrister with a concern for inner cities and civil rights, an articulate idealist, he was the victor in a famous by-election battle against the Labour Left in 1983. After a quarter of a century spent almost entirely on the Liberal Democrat front bench he is a highly respected, if slightly wayward, figure well to the Left of New Labour, possibly too principled for his own good. He remains highly popular in his constituency. He won the previously rock-solid Labour seat of Southwark and Bermondsey in the notorious by-election of 1983 against the activist Peter Tatchell, with a still unbeaten swing of nearly 60 per cent. He has held it ever since through seven general elections, though with very variable majorities. In 2010 he won a 8,530 majority in the recast seat of Bermondsey and Old Southwark. He has held a large number of frontbench positions, shadowing almost every department except the Treasury and Foreign Affairs. His posts have included the environment, (where he revealed a strong Green tinge), education, urban affairs and health. Born in 1951, he was a Young Liberal activist, and was called to the Bar in 1974 after reading law at Selwyn College, Cambridge. He then took a certificate in higher European studies at the College of Europe in Bruges. Before that he was head boy of his school, Christ College in Brecon, and head chorister at Llandaff Cathedral. A committed Anglican and a man for all causes, he serves on the Ecclesiastical Committee, and holds office on a catholic selection of more than twenty all-party groups, including various ethnic minority groups, youth affairs, Crossrail, conflict issues, credit unions and suicide prevention. Hyperactive, thoughtful and persuasive, his views are sometimes too much for his colleagues, as when he paraded his anti-nuclear stance at the Party conference before the 1987 general election, embarrassing the pro-nuclear SDP and destroying an Alliance consensus. His hard work is legendary. He lists his hobbies as music, theatre, history, the countryside and sport. He supports Millwall at football, Glamorgan at cricket and Wales at rugby.